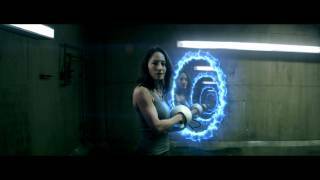 A look behind the scenes of the visual effects in Portal: No Escape. Music by Mike Zarin and Tony Hajjar for Sencit Music. Portal 2 is a 2011 first-person puzzle-platform video game developed and published by Valve Corporation. It is the sequel to Portal (2007) and was released on . http://vk.com/id219017468-мой аккаунт в контакте. http://odnoklassniki.ru/-мой аккаунт в одноклассниках http://vk.com/club25974007-группа.